The late political thinker and pollster Philip Gould once remarked that historic moments of change can be marked up as being one of two kinds, substantive or contingent. Substantive moments are where forces have coalesced in such a way as to make the outcome inevitable. Any effort you make to influence will only moderate it, not change it. Contingent moments are where forces have reached a point of confluence but have not yet reached a point at which an outcome is determined. In these situations there is a vacant role; that of decisive agent, whose intervention, if pitched right, can decide the result. It is with this thought in mind that today we release our latest report, The Inflection Point. We believe that the future for local public services is still contingent, and that local government, if it acts boldly, can become the decisive agent. The report argues that local government is at an inflection point and now has a series of critical decisions to make that will determine its long term future. 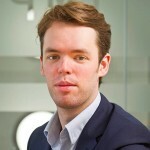 As part of the report IMPOWER has identified a near quadrupling in the number of chief executives and senior directors citing demand focused transformation as a “significant” feature of their future plans. With 98.4% of those chief executives and senior directors surveyed in January 2015 saying it will either be a “heavy focus (36.1%)” or a “significant focus (62.3%)”. There is now near universal acceptance of the critical role demand side interventions will play in safeguarding the sustainability of local government. (This is up from 25.3% in 2011 as recorded by IMPOWER’s Changing the Game report). Enter your details below to download a copy of the report. The role demand focused transformation will play in the future of local public services is simply the vehicle for the report’s broader point, that local authorities must either choose their future and act accordingly, or allow it to be chosen for them. We offer up the twin axis of complexity and system leadership as a framework through which to consider this choice. To us this reflected the discussions we have had with a number of chief executives about the future of local government. 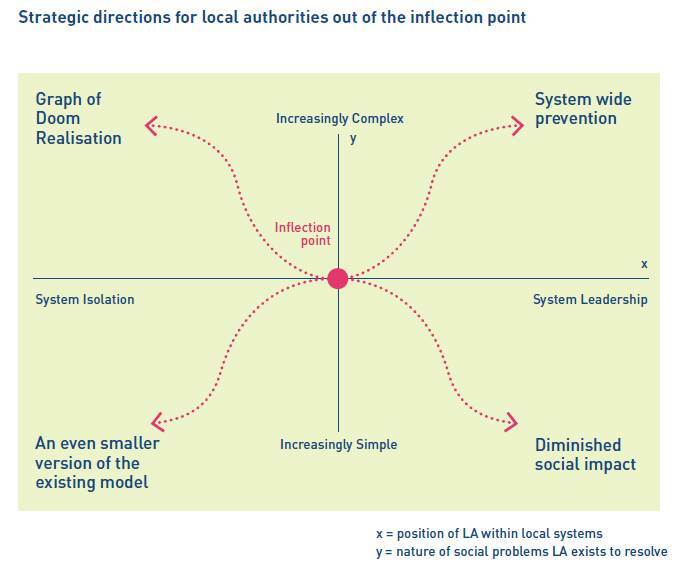 As such The Inflection Point offers a clear and direct message; society is changing, local government reflects society, therefore local government should be confident about changing too.